In operation since 2009, Moon Bingo shares software with some of the great bingo sites on the internet today. Gossip, Silk, and Moon Bingo all have rave reviews and share the same software from Cassava Enterprises. With the slogan “alligning your stars” Moon have a range of offers for new and current players on the site. If you are a new player with Moon Bingo, you can choose to play a range of free games available on the site or can deposit money. 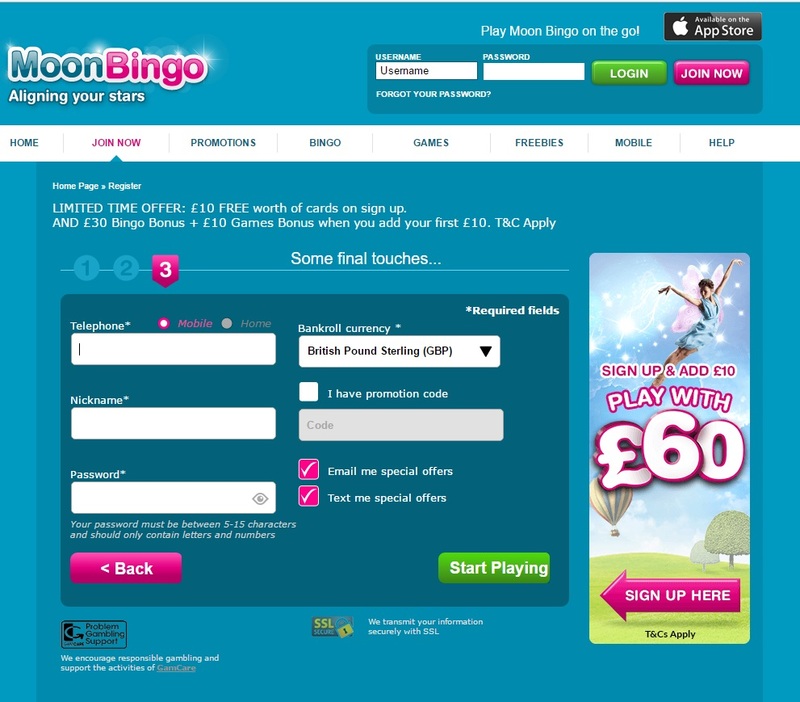 If you deposit £10 with Moon Bingo, you will be given a giant £60 to play with on the Moon Bingo website. 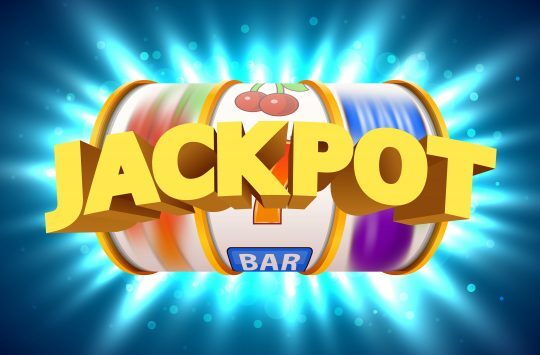 This is a great new player bonus of 600% on your first deposit and is miles above many bingo sites on the internet today. 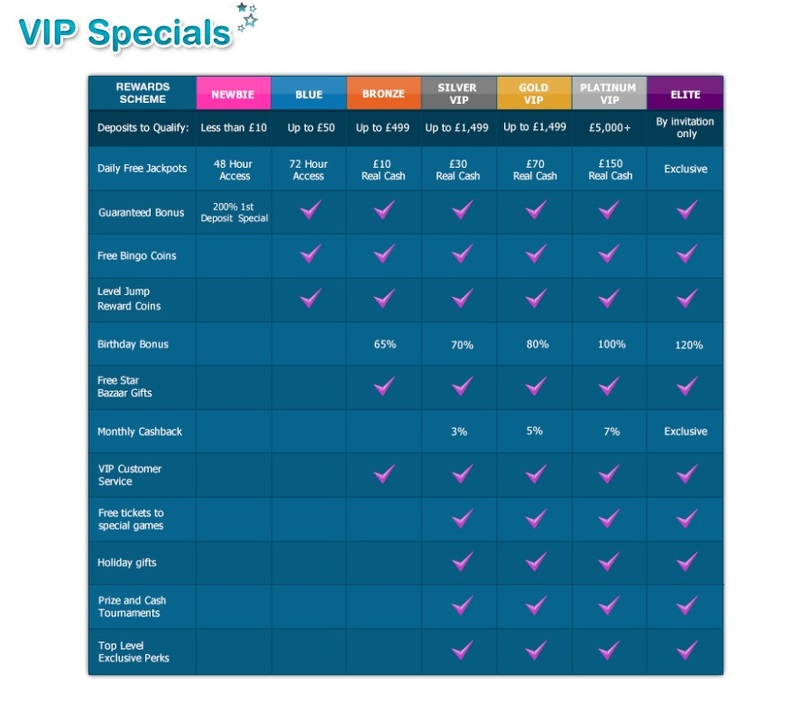 Moon Bingo also offer users a chance to join their VIP club, which is a loyalty scheme for users who deposit certain amounts of money into the site. 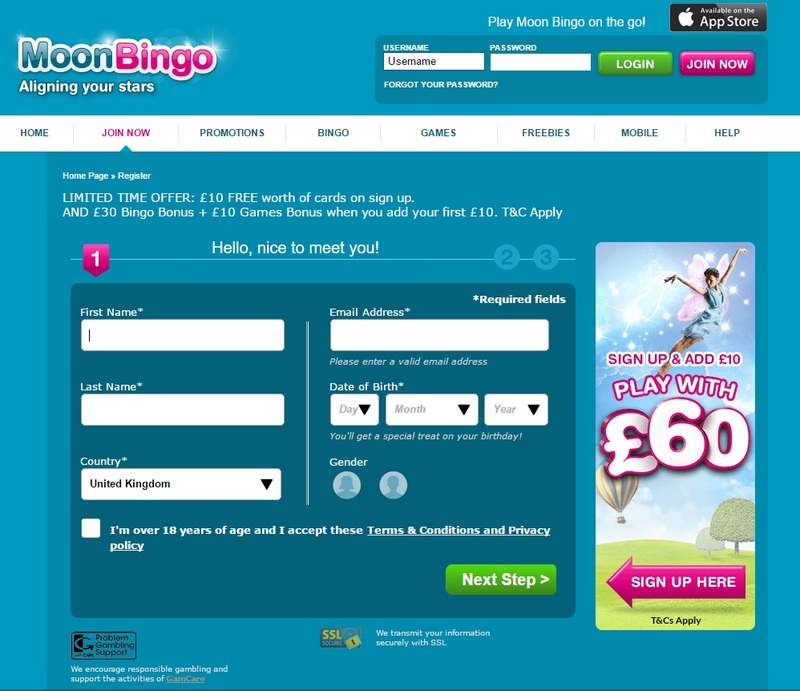 Below are screengrabs of the registration process withMoon Bingo. You will need to enter your name, email address, date of birth, address here. You will not have to make a deposit at all in this section. This can be done later when you are playing games through the site. Once you have done this, you will be taken to the promotional page, where you can learn all about deposits and withdrawals. You can also find handy guides on how to play Bingo with Moon Bingo. 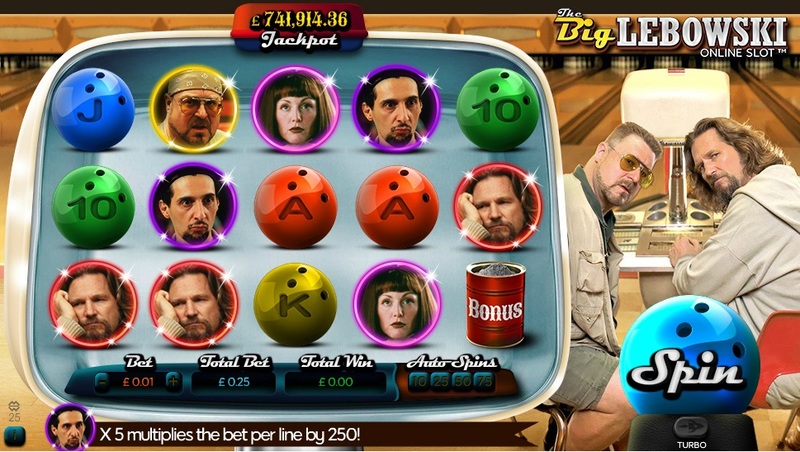 For a short period of time, if you deposit £10 you will receive £60 to play with on the site. Once this promotion is over, you will be given £30 to play with once you have deposited £10. When playing Moon Bingo, simply choose the game you wish to play and enter the lobby. You can then purchase your tickets and wait for the next game to start. 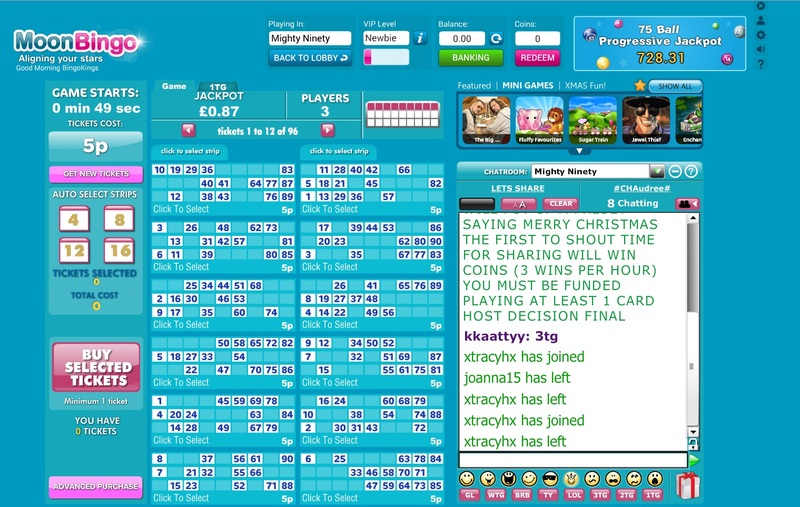 Whilst you’re waiting, you can chat to other players in the chat box to the right of the Bingo game, which is also convenient for chatting whilst in-game. 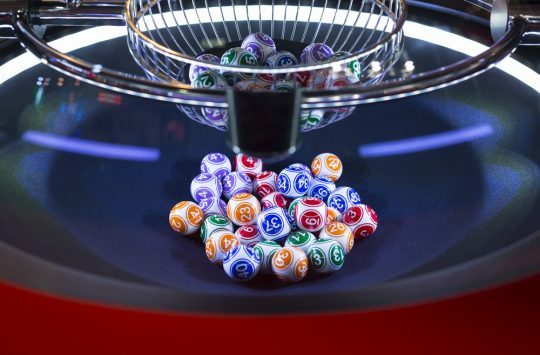 Choose between a range of 75 and 90 ball bingo games, with tickets costing as little as 1p. 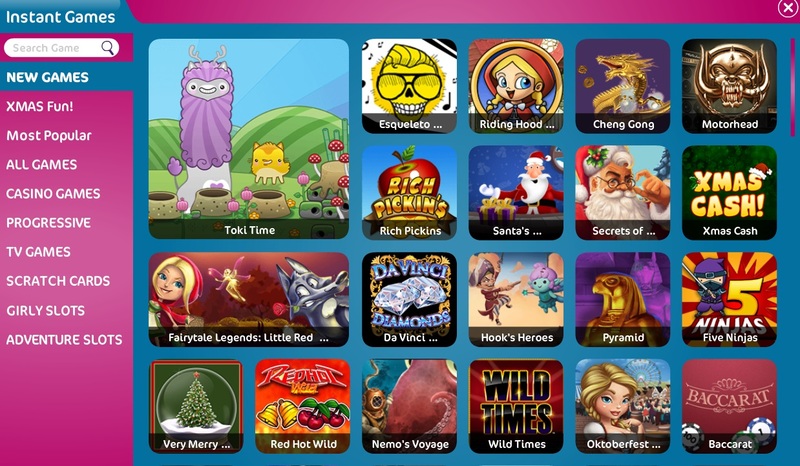 If you would like to play a range of slot games, you can also play these by finding the slots tab in your lobby room. The minimum amount you can deposit with Moon Bingo is £5. 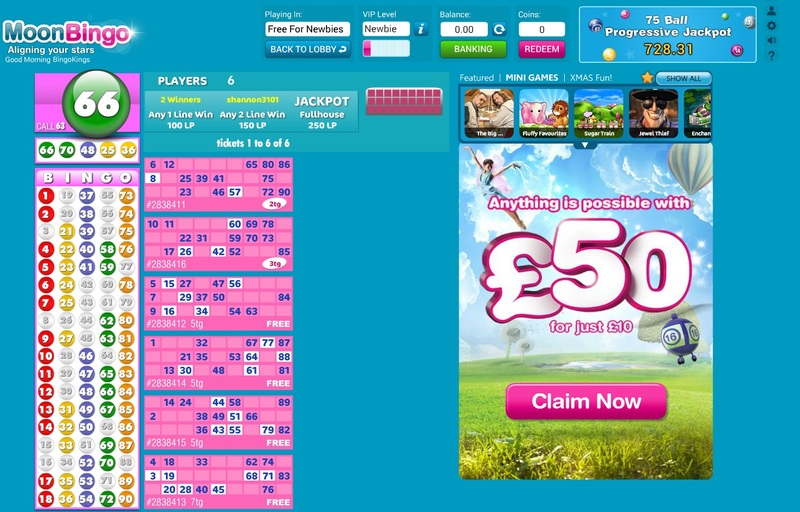 However, if you deposit £10 with Moon Bingo, you will be given a giant £60 to play with on the Moon Bingo website. This is a great new player bonus of 600% on your first deposit, and is miles above many bingo sites on the internet today. The minimum you can withdraw with Moon Bingo is £30. Maximum deposits and withdrawals sit at £5000 per day. 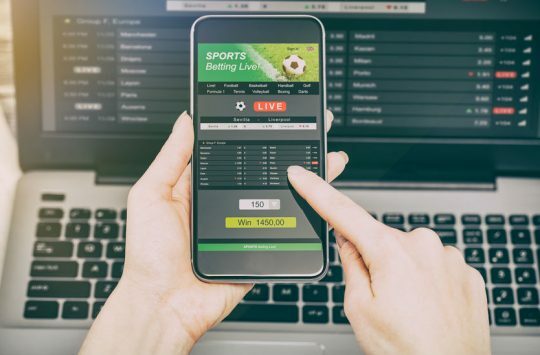 The process of withdrawing money can take up to 48 hours, however, many users have expressed positive reviews about how quickly money has been credited into their accounts. We have also experienced similar waiting time with Moon Bingo, having money back in our account after 30 minutes! Moon Bingo do not have an email address. However, you can fill out a form here, and a member of staff will be in touch with you.